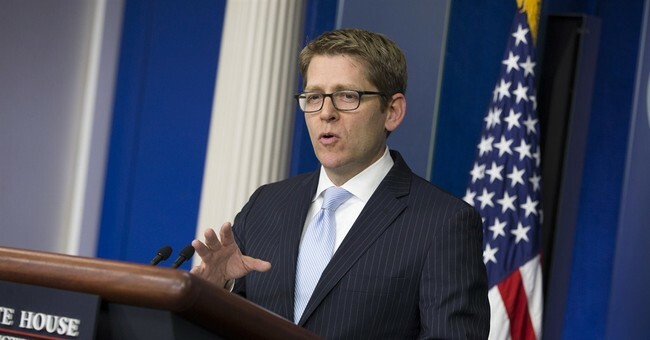 White House Press Secretary Jay Carney trivialized the newly announced Special Committee to investigate Benghazi claiming "the facts of yesterday are the facts of today." Carney accused Republicans of creating a conspiracy theory where none exists. There have been "25,000 plus pages of documents, many briefings, much testimony, and all have failed to provide Republicans with what they want politically," he claimed. "The facts begin not to matter to those who fervently want to believe in something else," Carney stated. He failed to directly answer whether or not the White House would comply with the Special Committee. "You're saying it without saying it," one reporter accused. "We have a long history of cooperating with legitimate oversight by Congress...I'm not going to go further than that," Carney repeatedly said, defaulting to the statement after repeated questioning on the subject. He also decried the committee for distracting Congress from focusing on what the "people" want: "action to ensure that there is better security for protecting our Americans abroad, and to continue to hunt down those who killed four Americans." President Obama will be seeking these goals, Carney assured. When asked whether it was true that the President did not monitor what happened from the Situation Room on the night of the attack in Benghazi, Carney would not make a definitive statement. "He was constantly updated," Carney assured. Minority Leader Nancy Pelosi (D-Calif.) and others on the Hill will decide whether or not to put Democrats on the Special Committee, Carney said.